In March this year Athenry milliner Caithriona King won Millinry Designer of the Year at the Fashion Innovation Awards. King has been on the rise for many years, but is only now reaching the peaks she has been destined for. Her work is directional and modern, and her striking pieces are both recognisable and individual. Currently three of her head-pieces are on display in the Eyre Square Shopping Centre – if you can face the crazed crowds baying for last minute Christmas gifts they’re well worth a look. 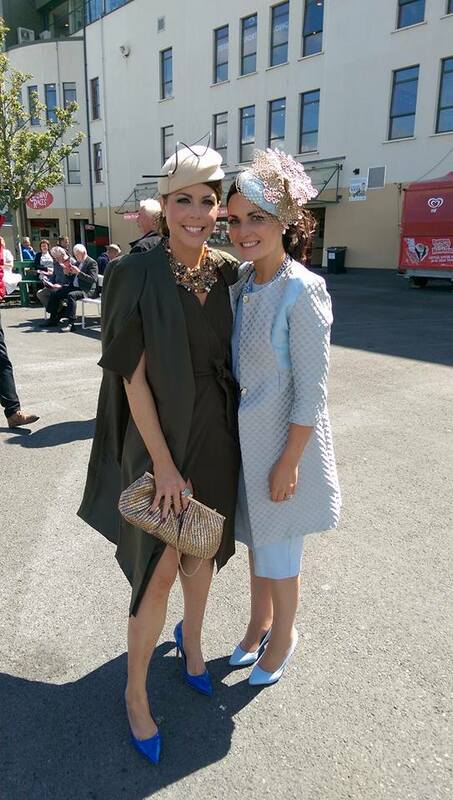 Even if you’re not so inclined towards them, there’s no denying that The Galway Races are a pivotal part of the county’s fashion calendar. Ladies and gents flock from far and wide to have a flutter and show off their style savvy while doing so; everyone’s style eyes are on the gúnas and suits meticulously chosen for the week of racing. While Ladies Day is the day for getting dressed up to the nines, tens and elevens, for many the whole week is their catwalk, and you’ll see many gorgeously dressed people placing their bets from Monday to Sunday. I love to see the stylish women wearing hats and headpieces but not necessarily competing; they’re the best inspiration for wedding season and next year’s races alike! Galway’s Arts Festival, Christmas Market and lively enthusiasm for Halloween mean that the year is full of fanciful costumes and season appropriate street style. An Ait Eile’s Fashion Page has high hopes for 2016 – we’ll be bringing you profiles on up-and-coming Galway designers, returning to our Fashion Tribes of Galway series and keeping an eye on any stylish happenings around the county. If you’d like to become a contributer, or have any suggestions for our Fashion section, contact fashion@aae.ie or find me on Twitter @AoifeBBurke. I just want to mention I am just new to blogging and really savored this web page. Very likely I’m going to bookmark your website . You really have beneficial writings. Thanks for revealing your web-site. magnificent post, very informative. I’m wondering why the other specialists of this sector don’t understand this. You must proceed your writing. I am sure, you have a great readers’ base already!